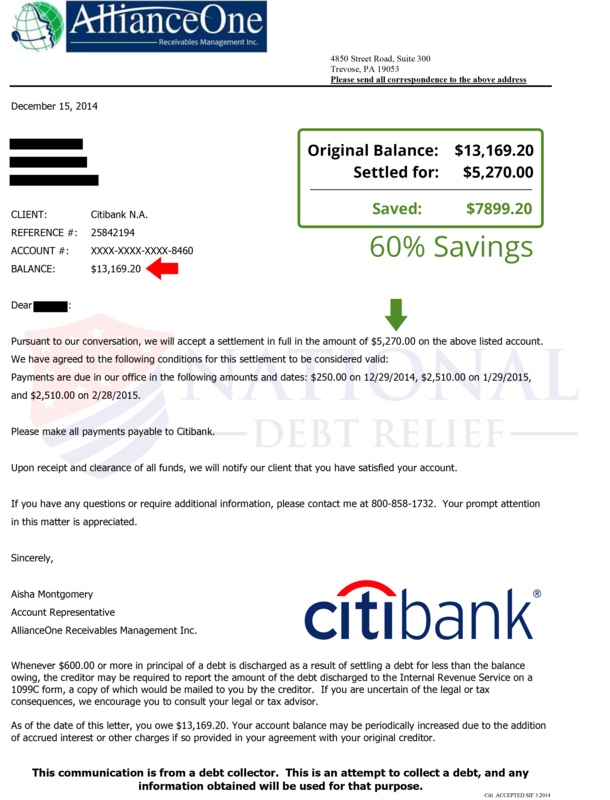 How much can you save with debt settlement? 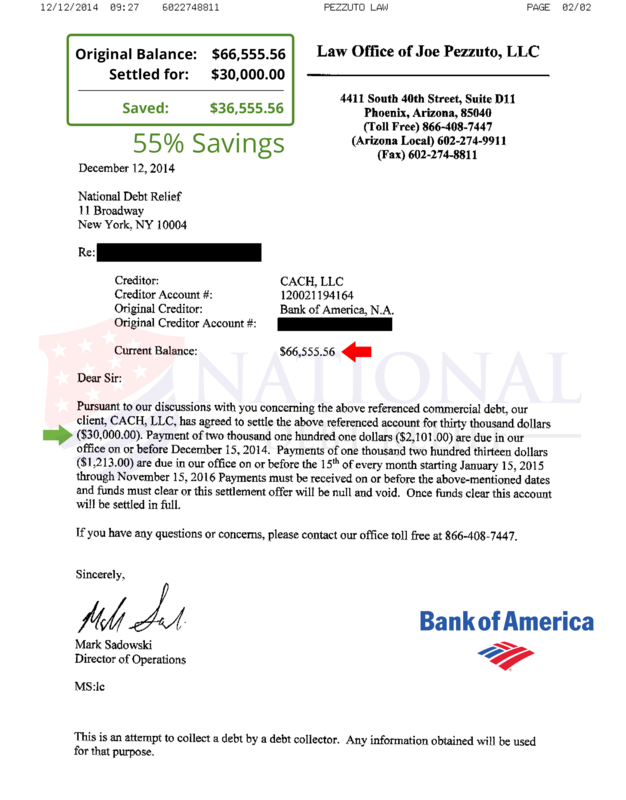 Does debt negotiation really work? 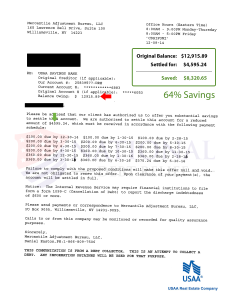 Check out some of these recent debt settlement letters and see how our clients have done. Your results will vary based on your ability to save funds for settlement offers and your creditors’ willingness to settle your debts. Even if your creditors say they do not do settlements, you will see many of the major credit card banks like Bank of America, Discover Card, MBNA, Capital One, Chase, Citibank, FIA Card Services, HSBC, Barclays, and American Express. 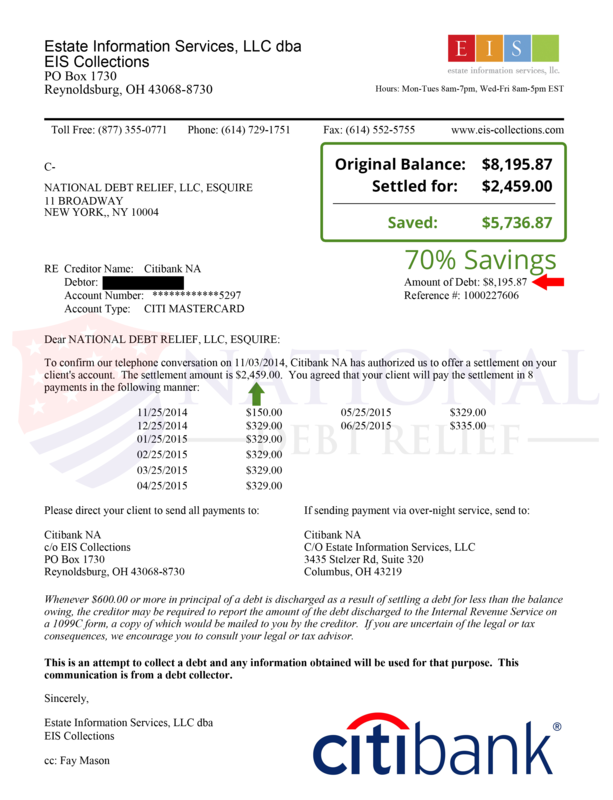 So check out these debt settlement letters and then give us a call or fill out the form and see how much you can save with National Debt Relief. 1. Have adequate settlement funds available when the settlement offers arrive. 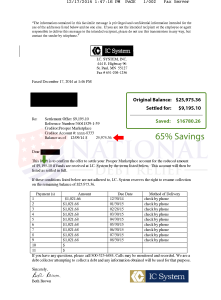 You want to be able to take advantage of settlement offers as they come. Many times you only have a few days to take advantage of their offers before it is removed. 2. Do not hide from your creditors – keep the lines of communication open. You do not have to answer all the debt collection calls every day. As you fall further and further behind – the constant calls can seem like harassment but it is par for the course. You can put your phone on silent or vibrate so you do not have to hear the rings. But, do check your voice-mail and open all letters you receive from your creditors – you don’t know if they will send a debt settlement offer in the mail. 3. If you are considering bankruptcy protection, let your creditors know. They do not want you to file chapter 7 bankruptcy because they will lose everything on your account. Explain to your creditors that your financial hardship is severe enough that you are faced with bankruptcy and they may be more willing to negotiate and settle your account instead of taking a total loss on your account. Take a couple minutes right now and see if you qualify for debt relief from National Debt Relief, a Better Business Bureau accredited debt counseling company. You get to pick a payment plan that fits in your budget. You could potentially see results in a few short months. 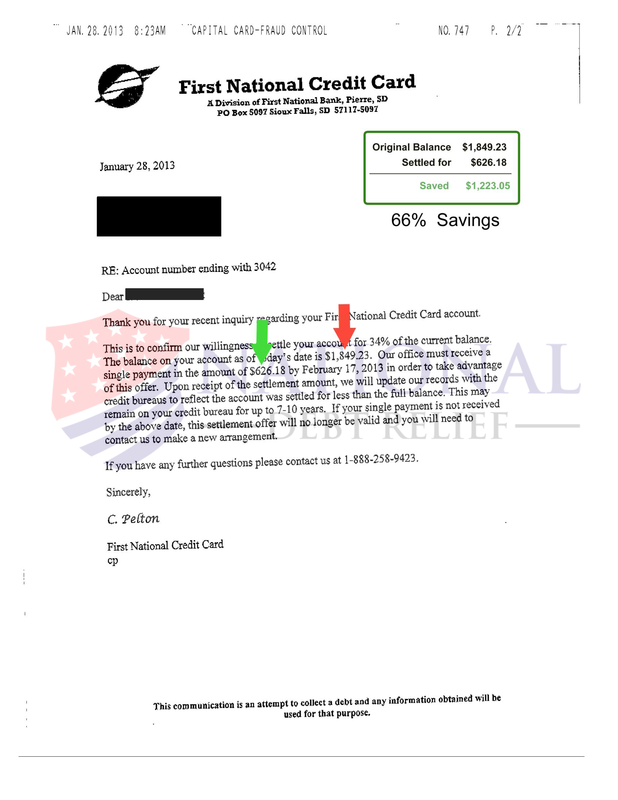 Then you could be on your way to getting your own debt settlement letters that save you thousands of dollars. Contact us today.